Circulating Now welcomes guest blogger Robert Gottlieb. Robert is a writer and editor, and the author of Sarah: The Life of Sarah Bernhardt; Balanchine: The Ballet Maker; Great Expectations: The Sons and Daughters of Charles Dickens; and Lives and Letters. From 1987 to 1992 he was the editor of The New Yorker. Before that, he served as editor-in-chief of Simon & Schuster and Alfred A. Knopf, and he has edited some of the most significant books of the twentieth century, from Catch-22 to Toni Morrison’s Beloved to Bill Clinton’s autobiography. And so on, until April 28th, by which time she’s clearly out of danger. It’s the kind of coverage only a President or a Pope would receive. But then she was more famous—and was famous longer—than mere presidents and popes. Now, from the historical collections of the National Library of Medicine, comes a clutch of notes and telegrams and hospital records from and about Sarah, and we learn that on April 17th, her temperature went up to 103° and that during the operation “six ounces of foul smelling pus obtained. Large irregular calculus in the pelvis, which was removed.” Sarah exaggerated about a lot of things (most things?) but not about the seriousness of her medical condition. OH MY DEAR Y HAVE GREAT TROUBLE IMPOSSIBLE TO TAKE BOT [sic] NORD BECAUSE THE SEA IS EURIOUS [sic] Y HOPE TO MORROW THAT SHALL BE POSSIBLE ALL MY LOVE. If she wasn’t demanding his presence, she was sending him Happy New Year telegrams. When Sarah wanted a man, or something from a man, she pulled out all the stops. Fortunately, the doctor was equally devoted to her. Among the portraits of famous colleagues and patients that hung in his home, two stood out: one of Sarah, signed with a florid acknowledgment in French; and one of Albert Einstein, signed in German, “To the noble-minded Dr. Libman with the secret-divining eyes.” As someone with no knowledge of medical history, I was fascinated to learn about this amazing doctor, whose diagnostic powers were world-famous and who was not only on the cover of Time magazine in 1935 but was the subject of a fascinating profile in The New Yorker (April 9, 1939) by the famous playwright and biographer S. N. Behrman. Libman, it turns out, was as eccentric as he was brilliant. It’s time for a biography. But if it is the insights into Bernhardt’s medical condition and her relationship with her famous doctor that are the focus of these papers, what is most revealing to the lay person—and, in particular, to the biographer—is that when she wanted to, Sarah Bernhardt expressed herself in English. It has been a given in just about every account of her life that although she performed in England almost every year for decades and made nine extended tours of America, she spoke not a word of our language. Here is the proof that we’ve all been wrong: In this regard as in all others, Sarah did what she had to do to get her way. She may have used “Y” in place of “I,” but grammatical rules meant no more to her than all the other rules she flouted. If she needed English to bind Emanuel Libman to her, English is what she gave him. Never knew anything about Sarah B. Just knew her name and that she was a very popular actress before I was born. 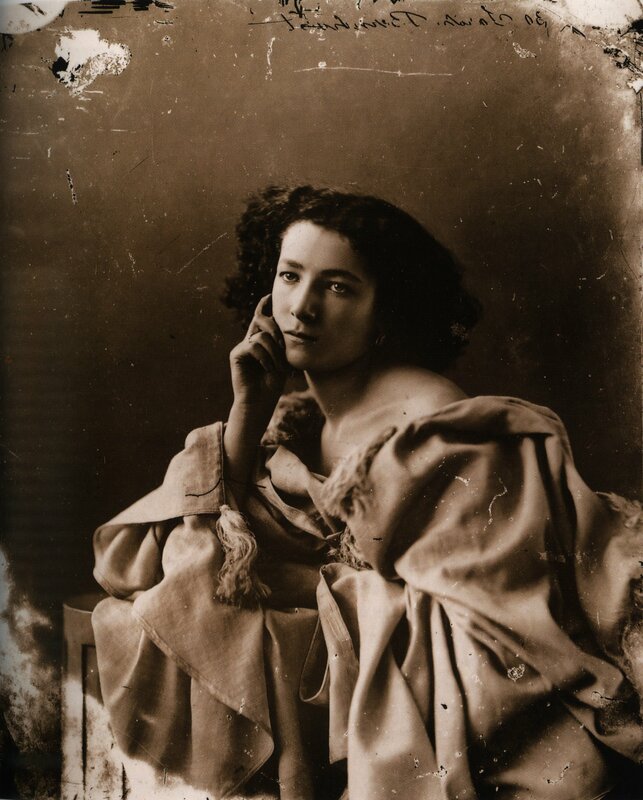 I do remember an old saying: “She’s another Sarah Bernhardt.” The meaning used, as I remember, was for a girl or young woman displaying a pouting face and over-emphasizing her displeasure. I’d love to read more about her. My interest has been stimulated by this blog. Thank you. You’re welcome! Thanks for sharing that old saying.